You most likely have heard about James Cameron opening his mouth and criticizing Wonder Woman and the work of Patty Jenkins last week. You can probably guess where we fall in our stance on the debacle. However, don't judge us prematurely. 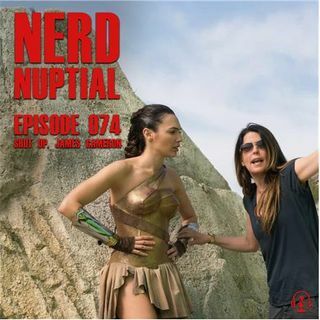 We criticized Wonder Woman plenty in our review which you can listen here. It's how Mr. Cameron chose to criticize the film and what it has meant to so many women and ... See More young girls around the globe. After that, we discuss what we're excited to see this Fall in the realm of TV and film. We start the show with our late to the party review of Master of None.